Sydney Flying Squadron conducts racing on Sydney Harbour for skiff classes on Saturdays and Sundays during the summer months, October through April. We also host 12 footer racing on Sundays. Currently our 18-footer fleet consists of 11 boats. All are reproductions of famous skiffs built between 1900 and 1950. We are always looking for new people to join us in sailing these beautiful old boats so if you are interested and would like to find out more. Experience not necessary. Visit the courses section to download the latest course maps for the current season. Click here to load the current season schedule as a PDF. View the latest championship details. View photos from all our recent sailing events. Currently our 18-footer fleet consists of 11 boats. Our fleet of boats has been built over the last 20 years and are based on the designs of the famous 18-footers built between 1900 and 1950. Each has been the subject of research through drawings, photographs, and prodding the memory of the few remaining who sailed the original. People like Billy Barnett who turned 100 in 2015 and is still going strong in 2016. Billy Barnett was both boat builder and skipper who won many championships in his boats. 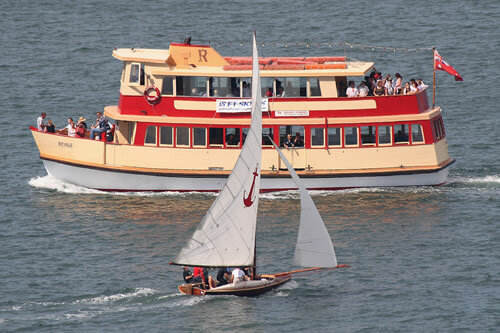 Leaving from the Club’s wharf at 2pm and returns approximately at 4pm. 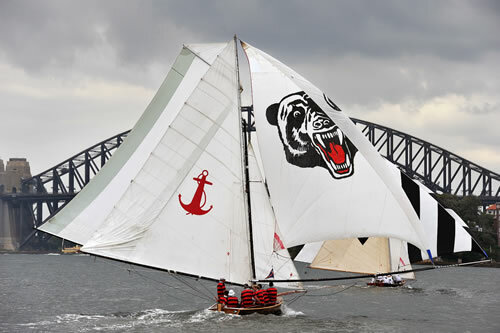 As we follow the sailing race experience Sydney Harbour in a different way. Sip on a glass of wine, enjoy the offerings on board and the commentary. Meet new people or bring your own crowd. An unusual yet exciting social group outing. Come aboard for the experience.